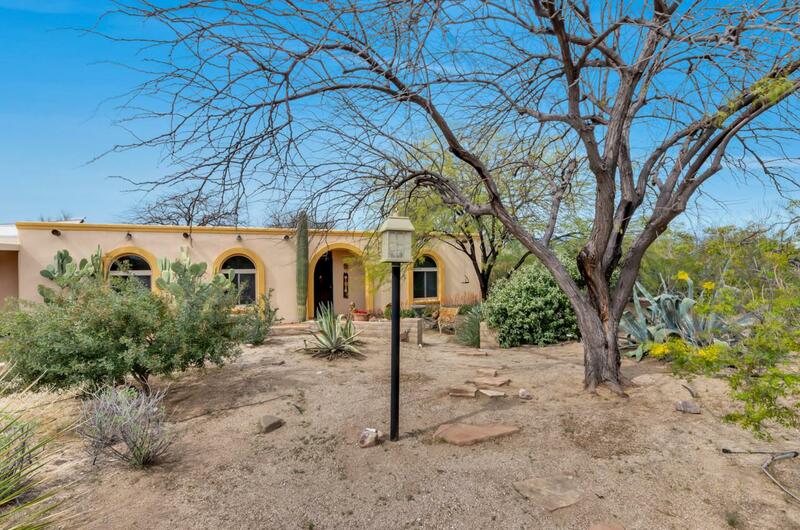 This welcoming southwestern-style home sits on a marvelous half acre, lovingly cultivated by a certified master gardener. The heart of the home is the vivid open kitchen which boasts cobalt blue counters, stainless steel appliances, expansive breakfast bar. 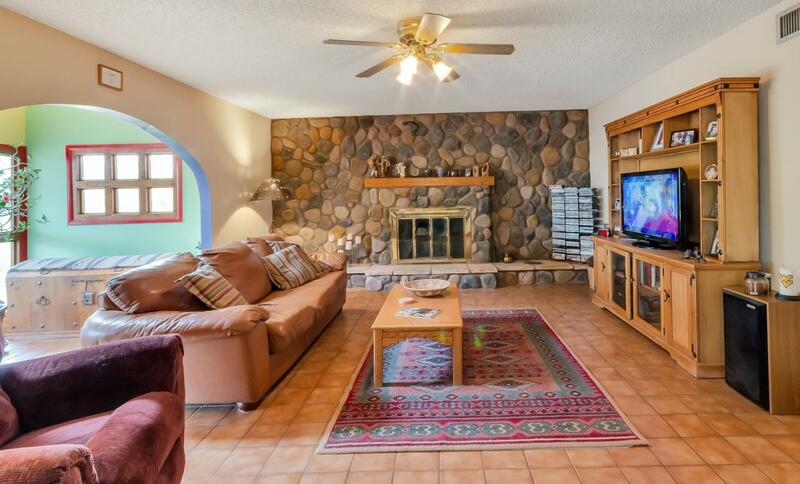 In addition to the dining area & formal living room, there is a light-filled AZ room. Adjacent to the 3rd bedroom is a flex room - perfect for an office, nursery, workout room. But it's the grounds that set this home apart. 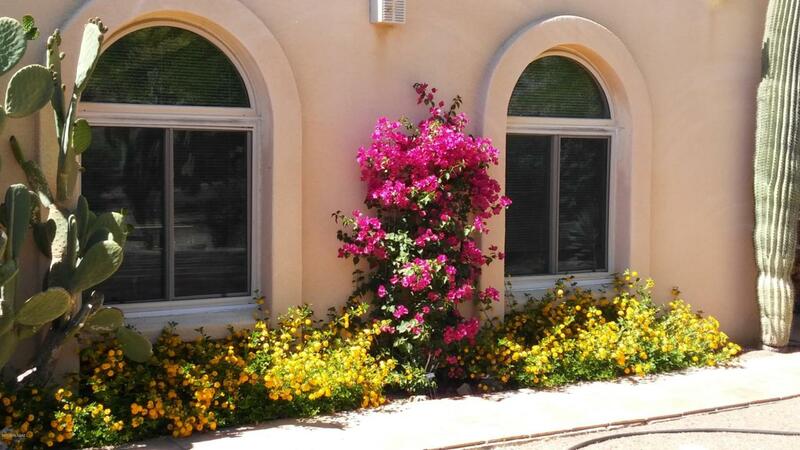 Truly a gardener's paradise w/an astounding variety of specimens - lush desert vegetation, roses, blood orange, tangelo, grapefruit, peach & almond trees - to name a few. 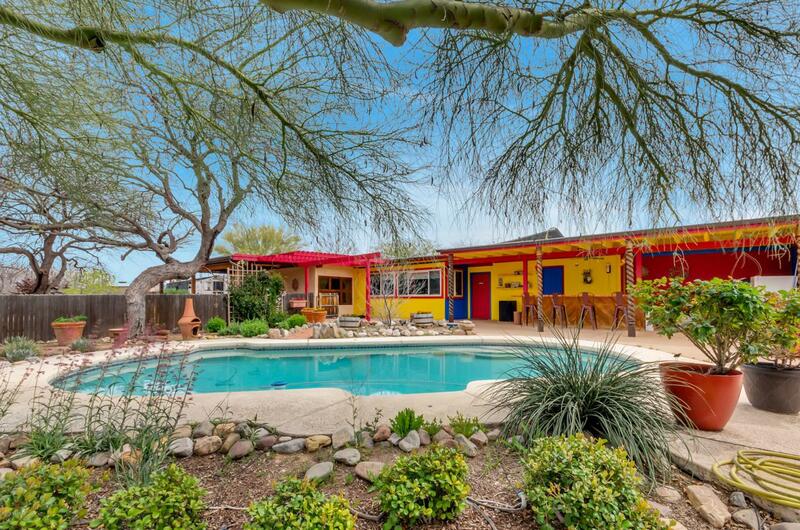 Lovely pool and "cabana" bar complete the picture. Peaceful rural setting, but just minutes from shopping & amenities.